LEXINGTON, Ky. (March 5, 2019) — It can happen quickly. Swirls of dark, greenish clouds form in the sky. Wind speeds accelerate. Hail falls to the ground. There is a moment of stillness, followed by an ominous crescendo of wavering tones from a siren. A tornado has arrived. A tornado siren activates a mere 13 minutes on average before a tornado strikes. Taking the time to prepare in advance of a tornado is essential to saving lives. The University of Kentucky Police Department’s Division of Crisis Management and Preparedness will participate in Kentucky Emergency Management’s 2019 statewide tornado safety drill at approximately 10:07 a.m. Wednesday, March 6. The drill will begin by initiating warning sirens, weather alert radios, and broadcast of the test alert message on television and radio stations. The University of Kentucky campus will also activate its own UK Alert notification system. The United States leads the world in absolute tornado counts with an average of 1,253 tornadoes recorded each year according to the National Centers for Environmental Information. Central Kentucky’s tornado activity tends to be 88 percent greater than the overall U.S. activity rate with Fayette County receiving a tornado approximately every 13 years. The National Centers for Environmental Information also says 95 percent of all United States' tornadoes are below EF-3 intensity. Despite those odds, an EF-3 tornado took place March 2, 2012, in West Liberty, Kentucky. 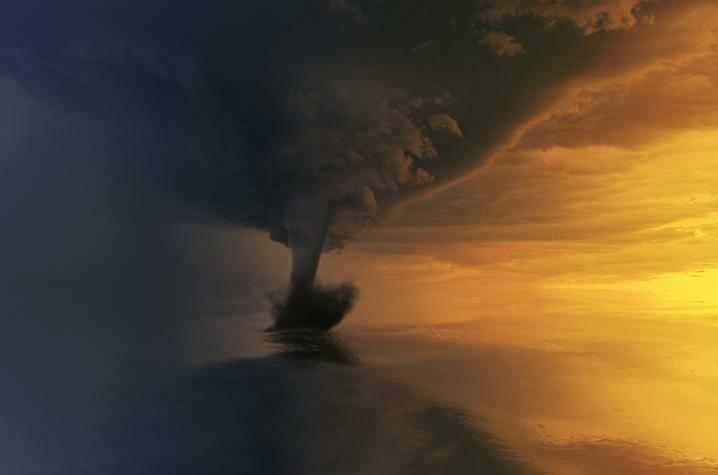 The 86-mile-long tornado reached wind speeds of 140 miles per hour and caused massive destruction resulting in 25 deaths, hundreds of injuries and millions of dollars of damage. Last year, however, brought a near record low in tornado activity, resulting in less destruction and fewer deaths. Overall, an investment in technology and an improvement of public awareness are helping to prevent tornado deaths. The mission of the Division of Crisis Management and Preparedness is to provide a disaster-resistant university community. To minimize the impact of tornadoes, all students, faculty and staff should utilize the following tips. Be weather aware. Download a weather app such as WeatherBug. Know the difference between a tornado watch and tornado warning. A Tornado WATCH is when weather conditions are favorable for tornadoes. Prepare for severe weather and stay tuned to tornado warnings. A Tornado WARNING is when a tornado has been reported and action must be taken immediately to find safe shelter. Sign up for UK Alert and ensure you are receiving notifications. A UK Alert will be sent if a tornado warning is issued for any part of Fayette County. Download the LiveSafe app. Everything you need to know about what to do in case of a tornado or severe thunderstorm is under UK Resources, Emergency Procedures. Know the safest place to shelter in your home and most often-occupied buildings. Watch for tornado danger signs which consist of dark, greenish clouds; a cloud of debris; large hail; a funnel cloud; and/or roaring noise. Go to a safe place. Find the lowest point possible of a sturdy building, away from exterior windows and doors and put as many walls as possible between you and the outside. Severe weather shelters or basements are ideal. If you are outdoors, in a mobile home or vehicle, go to the lowest floor of a nearby sturdy shelter immediately. If you are unable to safely exit a vehicle, buckle your seatbelt and put your head below the windows, covering your head with your hands. Protect yourself from falling debris, especially your head and neck — use your arms, books, pillows, towels, helmets or a mattress. Do not touch downed power lines or objects in contact with downed lines. Do not use candles, use battery-powered lanterns instead. Do not use generators, pressure washers, drills, camp stoves or other gasoline, propane, natural gas or charcoal-burning devices inside a building or near an open window, door or vent for risk of carbon monoxide poisoning. Do not come into contact with electrical equipment or cords. Power surges from lightning can cause serious damage. Do not come into contact with plumbing of any kind as it can conduct electricity. Do not come into contact anything with metal, such as tractors, farm equipment, golf carts or bicycles.